Please make any comments at Andy’s blog Siberian Light. Those of you with long memories will remember the series of interviews I did with top Russia bloggers, back in early 2007. 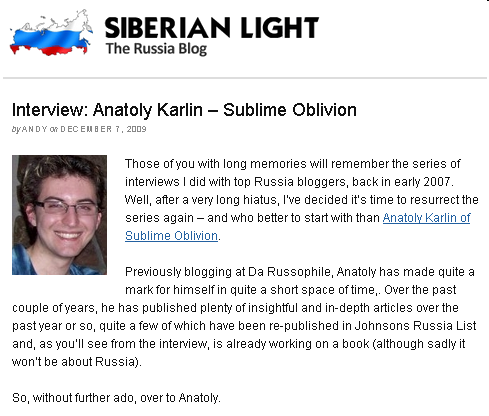 Well, after a very long hiatus, I’ve decided it’s time to resurrect the series again – and who better to start with than Anatoly Karlin of Sublime Oblivion. Previously blogging at Da Russophile, Anatoly has made quite a mark for himself in quite a short space of time,. 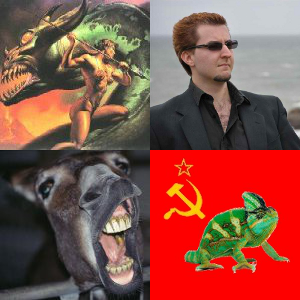 Over the past couple of years, he has published plenty of insightful and in-depth articles over the past year or so, quite a few of which have been re-published in Johnsons Russia List and, as you’ll see from the interview, is already working on a book (although sadly it won’t be about Russia). So, without further ado, over to Anatoly. First off, I would like to thank Andy for the interview and express my sincere admiration for his work in bringing together such a cluster of diverging and often highly-charged viewpoints together in a civil “interview” format over the years, as well as to offer my apologies for the six month delay in completing this interview. Let’s start at the beginning. As I’ve spent the majority of my life as a Russian immigrant in the UK, I became acutely aware of how the sentiments of many Westerners towards Russia ranged from ignorance to disdain, with a large degree of overlap. This is unsurprising and understandable, of course. The countries in the NATO alliance had spent the last fifty years living under the threat of nuclear war with the Soviet Union. And the inhabitants of Western Christendom have had a primal aversion to the dark steppe to the east since times immemorial. Scratch a Westerner, and you wound a Russophobe. This essentialist worldview is systematically reinforced by the Western media, whose distortion of Russia ranges from the blatant and despicable – e.g. referring to Chechen terrorists as “freedom fighters” during the Beslan crisis; to the more subtly mendacious, in which it sees fit to assume the role of judge, juror and executioner regarding the Kremlin’s exclusive guilt in reducing gas subsidies to Ukraine (“energy blackmail”), the death of Litvinenko (“FSB assassinations”), and the 2008 war in South Ossetia (“revanchist Russian imperialism against a beacon of democracy”). All this constitutes a real information war against Russia by Western media outlets working to the “propaganda model“. (So what if I cite Chomsky? All he does is point out the obvious). As if the Western media on Russia being little more than a brief for the prosecution wasn’t enough, I then happened upon a certain blogger who gloried in calling “herself” a “Russophobe” and tried “her” best to attach a stigma on a word supposed to have much more positive connotations – “Russophile”, in the most underhanded and low-life ways imaginable. Even semantics are ammunition in the information war. And this was the ultimate trigger that inspired me to create the original Da Russophile in January 2008. Translitered into Russian, it’s supposed to read, “Да – Руссофил!”, that is, “Yes – I’m a Russophile!” (and proud of it). What spurred me to action was not the even the perceived duplicity of most Russia coverage, but the lack of an opposing interpretation. I believe the prosecution has made its case and as such I didn’t bother laying claim to objectivity; instead, I explicitly admitted to my pro-Russia partisan bias (as Howard Zinn said, “you can’t be neutral on a moving train”, and those who pretend otherwise are hypocrites or naïve). This is in stark contrast to most bloggers (journalists, humans, institutions, etc), who present themselves as – and even frequently believe themselves to be – paragons of objectivity. The former Economist Russia journalist Gideon Lichfield put it best: “The truth is like a quantum superposition state: it is not one version or the other, but a strange combination of all them”. What are your goals for Sublime Oblivion? First, the need for alternate Russia coverage is far less pressing now than it was a year ago. The Kremlin is realizing the value of soft power and has acquired some heavy artillery over the past two years, such as the Russia Today TV channel and the Russia: Other Points of View information portal. As such, I now rarely feel the need to comment on current Russian news – demolishing the same Russophobe myths gets repetitive and boring after a while (much like grenade fishing), – speaking of which, I think I now understand why similar “Russophile” bloggers like Konstantin, Fedia Kriukov, and Kirill Pankratov jumped ship after a year or two. Second, after a few months of blogging, I became more adventurous in my scope and ambitions. This moved me to make some major changes to the original Da Russophile, the biggest of which were: the transition from Blogger to self-hosted WordPress, the abandonment of the pseudonym stalker (yes, I love the film) in favor of my “true name“, and a certain moderation in rhetoric. I have largely abandoned activism in favor of observation and analysis. Most importantly, I’ve expanded the blog beyond focusing exclusively on Russia, to a more of an about-me-and-my-interests kind of thing – which at the moment and for the foreseeable future happen to be Russia, geopolitics, and future global trends. Continue my series of Sublime Strategic Reports on the global trends, regions, and geopolitical dynamics that will shape the 21st century. Build up the Sublime Oblivion Forums community. Do more Russian-English translations of uncommon and interesting material. Continue monitoring developments in Russia’s demography, on which I have an extensive and original portfolio. Expand my presence on Facebook, Twitter, YouTube (videoblog), and LiveJournal (на русском). Make forays into journalism and / or related research as time permits. My most ambitious project is my forthcoming book on future history, which I hope to finish by spring 2010 and publish soon after. See the last question for more details. What have been your best & worst experiences about blogging so far? I’ll be indecently honest here. By far the best experience is the ego trip. I love fan mail and Googling my name to find snippets like this or this. Best of all is getting recognized by the VIP’s. It feeds my narcissism and encourages me in my endeavours. As for the worst experiences, they are stunningly banal. Writer’s block – I spend at least as much time procrastinating on teh internets as actually writing, and managing complexity – juggling between a big number of online projects, academia, and social life can be enervating. Not that terrible, but still vastly more aggravating than the sum wrath of the LR collective. Which blogs about Russia and the FSU do you most enjoy reading? There is a Zen temple in Japan, Ryōan-ji, which has a rock garden arranged in such a way that you can only ever see a maximum of fourteen rocks out of a total of fifteen from any horizontal vantage point. I think it is an excellent metaphor for truth; though it is always elusive when sought from a single perspective, it can be probabilistically narrowed down to an ever smaller region by looking at things from different locations, different interpretations, etc. If you are serious about attaining enlightenment on any subject, it is best to become acquainted with all interpretations – in Russia’s case, be they “Russophile” (Peter Lavelle, Nicolai Petro), Marxist (Sean Guillory), postmodern “virtual-political” (Andrew Wilson), cultural path-dependency theoretic (Streetwise Professor, Stratfor, the Eurasianists, etc), and – yes – all-out “Russophobe”. Sean Guillory @ Sean’s Russia Blog – intelligent, eminently readable. Eternal Remont – for the lolz. Eric Kraus @ Truth and Beauty (…and Russian Finance) – his newsletters are far more interesting than the admittedly goofy-sounding name suggests. PS – get a proper blog! poemless – lovely humorous blog that exploded into our lives like a fluffy pink grenade. Yuri Mamchur, Charles Ganske et al @ Russia Blog – somewhat dull and too “official”, but they published my stuff so they’re cool. Craig Pirrong @ Streetwise Professor – an unremitting “Russophobe” with a penchant for distortion, but intelligent unlike the others. “Untimely Thoughts” – An Expert Discussion Group on Russia, Johnson’s Russia List, and Stratfor – not blogs, of course, but all three are IMO excellent sources of information for amateur and professional Russia-watchers alike. State statistics service Rosstat, polling company Levada Center, and demography portal Demoscope are invaluable resources, which I highly recommend to all fact-challenged Russia-watchers. What first sparked your interest in Russia? The central theme of my identity is my lack of one. I was sundered from my native Russian land at a young age and I assimilated most of my “cultural assets” during my period of exile in Britain. The reason I call it an “exile” is that I always felt as a a stranger in a strange land there; I was never accepted as British by its denizens, even though I spent the vast majority of my life there. My resulting mentality is aptly labeled “diasporic” by Konstantin Krylov; a state of profound amorality, rationalism, and apathy for the host society’s values – for someone who sees all values as relative cannot have any other attitude. However, the “diasporic mentality” is a profoundly unnatural – and hence unstable – state of affairs, since the human soul yearns for unity, belief, and sobornost. This may explain the dawning of my sentimental interest towards Russia, which was only reinforced by my socio-cultural alienation and rising political awareness (e.g. of the nauseating moral hypocrisy inherent in Western cultural imperialism towards nations pursuing sovereignty like Russia and Venezuela). I do not recall there being any “first spark” to my interest in Russia, the ideological evolution began in my mid-teens and is an ongoing process. We shouldn’t forget that dismissing and dissing Russia was fashionable in the 1990’s, when Yeltsin’s “family” were pillaging the nation and many Russians, especially émigrés, felt “betrayed” by the Russian state (partially to justify their own flight abroad and spiritual descent into self-interested, amoral poshlost). There’s also a generational aspect here. Whereas the “fathers” tended to gleefully indulge in Russia-bashing – and embraced all aspects of Westernization with the fanaticism of the new convert – the effect was sometimes quite different on Russia’s “sons”. As Susan Richards points out, contrary to Western delusions, it the youngest Russians which constitute the most “anti-Western” cohort, who according to Nicolai Petro “embraced patriotism as a defense mechanism against the blanket criticism of Russia’s past that left them with nothing of their own to believe in”. Though I personally have no doubt been influenced by the above developments, I cannot really partake of this spiritual reawakening in Russia. Whenever I visited Russia, most of my relatives insisted on labeling me as English; and if I tried protesting it, many rejoined that I was talking nonsense, or had no idea of “how Russia really works”. The message is clear. I am rejected as Russian by the Russian narod, which correctly perceives me as contaminated; a spiritual threat to the cohesiveness of the community. Like the typical second-generation European Muslim emigrant, divorced from both their indigenous culture and their host society, I have no “real” identity. I’m not just an inostranets (foreigner), but a bezstranets, a dude without a country, a rootless cosmopolitan who ought to be hunted down and shot for treason by all humanity. It is thus of no surprise that I’ve found a home, of a kind, in California – a state which Fukuyama identified as the most “post-historical part of the United States”, and more specifically, in the liberal oasis that is The Bay. It is here that I realized that I could reconcile my “Russophilia” with my social liberalism, environmentalism, Marxism, predilection for postmodernist thinking, and dislike of Western chauvinism, by embracing Third-Worldism. This perhaps finally resolves my internal contradictions in a way that is both logically consistent and politically correct. Anyway, the point I was making was that my interest in Russia is not whimsical or academic (that would be China), but lifelong and quasi-spiritual. What do you most love / hate about Russia? Drinking vodka with friends. Cheap flying, parachuting, and bootleg IP. The unsettling but intoxicating blend of license and insecurity. The Russian village and peasant wisdom, now sadly in its death throes. The greater “reality” of life in Russia. The profound mysticism of the Russian Orthodox Church, and the primeval mysticism of Russia’s endless plains, dark forests and Slavic skies. Aggravating though it frequently is, the bureaucracy is tolerable. I’ve never been forced to pay bribes, with the exception of traffic police requisitions. There seem to be many more daily quirks, inefficiencies, and stupidities of various kinds. But ultimately, are these not just affirmations of Russia’s greater scope of humanity, life, and spirit? My greatest concern about Russia is its continuing lack of civilizational confidence and cultural submissiveness before the West (the “преклонение перед Западом” that Soviet ideologists rightly warned against), which manifests itself – and I might add to a much greater degree that in Western countries – in the crass materialism and historyless ideologies of its current crop of elites. As Oswald Spengler said, Tolstoy is Russia’s past and Dostoevsky is its future, so “The Brothers Karamazov” would make as good a choice as any. On balance, do you think Vladimir Putin’s Presidency has been good or bad for Russia? Let’s approach this from the viewpoint of the Russian “silent majority”, instead of the quack Kremlinologists and limousine liberals who claim to speak for them. First, there can be no doubt that the vast majority of socio-economic indicators improved markedly under Putin. This is not to deny that many Russians lead hard lives, and that the prevalence of material poverty remains much higher than in the West (which contrary to some common Russian rose-tinged perceptions, is not itself a land of limitless milk and honey) – but exactly where did I claim otherwise? With that caveat, I daresay – to a greater extent than Russians living in Russia – that on average their living standards have improved greatly since 1998. Though they may go on about how inflation and bureaucracy makes their lives unbearable, it does not resound well when set against their ringing cell phones and new cars parked outside (consumerism exploded in the 2000’s). This is an excellent example of creeping normalcy – some Russians fail to appreciate the strong secular trend towards improving average real living standards since 1998, focusing more on present day concerns like rising prices and poor government services. Nor is this improvement limited to Moscow and the rich, as some Russophobes like to assert. Statistics hint that the economic revival is broadbased across regions and social classes, and I can personally confirm that even small, depressed towns like Kolomna and Volokolamsk have seen vigorous economic expansion in recent years. This has been matched, from around 2006, by an accelerating cultural and demographic revival. Though at times he may be diverted from the task by national security exigencies and adjudication of disputes amongst the Kremlin clans, I believe this is precisely the long-term goal Putin is pursuing – consolidation, modernization, liberalization (in this order of priority). The recent moves by an alliance of Surkov’s “GRU” clan and the civiliki (economic liberals) to investigate corruption and mismanagement of strategic companies under Sechin’s “FSB” clan – which has the implicit blessing of the Russian President, Medvedev – may be the opening shots in a coming purge of the most egregiously corrupt siloviki. This will help the Kremlin in its efforts to modernize Russia, which may in turn lay the foundations for an eventual liberalization by the 2020’s. On the modernization front, there have been some little-noted successes, e.g. a partial revival of manufacturing from its post-Soviet nadir, helped in part by a new mercantilist industrial policy (contrary to popular belief, a calculated measure of state intervention has been central to all successful development stories). The state reigned in the most rapacious oligarchs and since the mid-2000’s expanded its support for the hi-tech sector (e.g. nanotechnology) and strategic industries. That said, a great deal of work remains to be done, such as reviving the hypertrophied military-industrial complex and developing a real “innovation economy” – these will be some of the big projects of the 2010’s. I will refrain from making value judgments on whether Putin was “good” or “bad” for Russia, except to the extent of noting that his consistently sky-high approval ratings amongst Russians, usually above 70% since 1999, indicate the former (though then again, some would ascribe this to a “traditional” Russian penchant for a paternalistic Tsar-savior). Instead, the argument may be advanced that a Putin was inevitable. The Russian Empire has always been subject to cyclical collapses due to its inherent tendencies towards illiberal anarchy (the “Time of Troubles”, the Civil War, the 1990’s). These collapses were followed by ”white riders” (the early Romanovs, Lenin, Putin) who checked the collapse, restored order with a firm hand, and reconstituted “the Empire”. Bismarck remarked that “the art of statesmanship is to steer a course on the stream of time”; as an inheritor of the Tsarist and Soviet historical and cultural legacy, it is to be hoped that the Putin system eventually manages to fulfill the Kremlin’s dreams of reconciling sovereignty with liberalism, instead of succumbing to anarchy like Boris Godunov or metamorphosing into a “dark rider” like the late Ivan Grozny or Stalin. We’ll see. Do you think the average Russian’s life today is better, or worse than it was in 1989? Why? 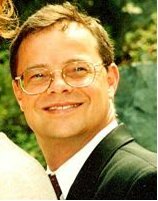 On the one hand, the “average” Russian became unprecedentedly empowered as a consumer by the mid-2000’s, though this was accompanied by massive new inequalities (the 1970’s-80’s Soviet Union had no concept of consumer sovereignty and devoted all its additional, shrinking production growth to the military-industrial sector). There were also a great many more social and political freedoms, despite the continued social prevalence of illiberal “post-totalitarian” attitudes, especially amongst the bureaucracy and security forces. Russians also opine that they became happier. However, the only people to immediately benefit from the Soviet collapse were the ambitious, unscrupulous, and well-connected; and even today, for a great many Russians – especially in the provinces and amongst the elderly – real living standards remain both substantially worse and buffered by a much weaker social safety net. The comparison becomes even worse when one also accounts for a host of social ills (crime rates, alcoholism, ethnic tensions, AIDS, etc) that germinated in the late USSR, but only exploded once society was opened up. Some 45% of Russians believe people are now worse off than under Communism, whereas only 33% take the opposite stand (though it should be noted that this is slightly better than average for the former socialist bloc). I can personally sympathize with this viewpoint. Furthermore, this pattern of nostalgia for an imagined past of a bright socialist future, to a greater or lesser extent, is common to all post-socialist nations (for instance, 57% of East Germans now defend the GDR). Why? The fundamental reason is that though there undoubtedly appeared a general apathy in late Soviet society, it still retained a deep sense of social solidarity, or sobornost – a catch-all term for a deep sense of internal peace and unity between races, religions, sexes, etc, within a society, or in the words of the Russian philosopher Nikolai Lossky, “the combination of freedom and unity of many persons on the basis of their common love for the same absolute values”. However, by the late 1980’s the costs of keeping the Soviet system were perceived to exceed the benefits; the burden of complexity became too great to bear. The Soviet state, bereft of its most powerful tools (economic coercion) yet still burdened by immense obligations (welfare and warfare), unraveled under the strain. By the early 1990’s, the “Empire” crumbled and Russia reverted to anarchic stasis in an economic hyper-depression – a neo-feudal oligopoly extracting rents from a demoralized population wracked by social insecurity and demographic crisis, under the guise of virtual politics. Russia’s place on the Belief Matrix shifted towards poshlost – another untranslatable Russian word which denotes cultures that have lost belief in themselves and their own future in favor of vulgarity, commercialism, and pessimism. Most Russians viewed this development as an unmitigated disaster (hence Putin’s infamous comment that the Soviet collapse was the “greatest geopolitical catastrophe of the 20th century”), and yearned for a “white rider” who would restore order and return them to the future. They got Putin. It should come as no surprise, then, that Russia’s resurgence – especially visible after 2006 – has been marked by what I perceive as an accelerating drift back towards a Eurasian Empire (not only or even mainly in the territorial sense); a more informal, smarter, and reinvigorated USSR-2. As I outlined in “VII. Return to the Future” in Russia’s Sisyphean Loop, the evidence for this includes: a) the continued consolidation of state power, including Surkov’s ideological invention of “sovereign democracy” (in 2006), and its increasing overspill into active management of Russia’s economic development in what is the latest round of Russia’s “defensive modernizations”, b) a marked improvement in social morale, as attested to by opinion polls and a demographic stabilization that is likely to be sustained in the long-term, and c) the continued deterioration of social attitudes towards the West (especially the US), coupled with increasingly active – and successful – Kremlin efforts to restore its hegemony over the post-Soviet space. The poor, chaotic, and colorful interlude of poshlost is at an end, most poignantly symbolized by the demise of the eXile in 2008 (I’m sure they’d agree; one of their last issues bewailed the demise of the gopniki, Russia’s equivalent of “white trash”, and a good metaphor for poshlost). A new Eurasian Empire is coalescing in its place, which has started to and will probably return sobornost to Russian life within the decade. And that will mean far more to the average Russian than any amount of Chinese trinkets or London mansions. Do you think Russia will ever embrace the style of democracy now favoured in most of the rest of Europe, or will it take a different path? Probably not. For that matter, perhaps not even many European democracies will survive in the next few decades, or more specifically their liberal characteristics. They have a host of problems such as rapid aging, overly generous welfare states, below-replacement level fertility rates, simmering ethnic tensions, national rivalries and varying interests undermining the EU project, and severe structural economic and / or fiscal solvency problems. These will soon by joined by resource shortages and the effects of climate change. As for Russia itself, I’ve identified several likely directions it could go in “VIII. Return to the Future: Forking Paths” in Russia’s Sisyphean Loop – “sovereign democratization”, “return to the natural state”, “liberalization”, and “totalitarian reversion”. In “sovereign democratization”, Russia continues implementing Nicolai Petro’s vision of the “Putin Plan“, modernizing and liberalizing Russian society in a new “revolution from above”, or as Vlad Sobell puts it, “this new ‘USSR’ has shed its totalitarian and imperial character and is building genuine democracy à la russe”. Look to Gaullist France, with its emphasis on populism, sovereignty, and dirigisme, as an example. The Sechin silovik clan of ‘former’ FSB officers will be purged or sidelined and by the Year 2020 (a date which has assumed a somewhat millenarian status in Kremlin rhetoric on development), Russia will be a prosperous, innovative, liberal, and patriotic nation. I think this is an optimistic, though still realistic, vision; however, it is contingent on the survival of globalization and the continuation of Russia’s economic and demographic resurgence, both of which are far from assured. Another strong possibility is a “return to the natural state”, i.e. the reinforcement of Russia’s current paternalistic and neo-feudal features, and continuing economic nationalism, silovik cronyism, and resource dependency. A powerful Tsar will dole out transitional rent-gathering rights unto his boyars, in return for their political loyalty and tax payments. This ‘Muscovite model’, or neo-Tsarism, is socially unjust, Pareto inefficient, and ineffective at either generating economic prosperity or sustaining resource mobilization. Russia will restore its Empire and military might, but as Steven Rosefielde noted, it will be a giant with feet of clay – weakened by economic frailty, undermined by separatist and dissident-revolutionary movements, and contained by the Atlantic powers, it will lapse into a zastoi reminiscent of the Brezhnev era. This ‘middle variant’ tends to be favored by analysts who perceive that Russia is run by a gang of kleptocratic neo-Soviet revanchists and believe the country is doomed to secular decline on account of what they perceive are its disastrous demography and moribund economic system. “Liberalization” (in the anarchic 1990’s or today’s Ukrainian sense) or “totalitarian reversion” are very unlikely today. The Russian liberals, or “liberasts” as they are sometimes unflatteringly called, are now irrelevant, discredited relics of an older and not-too-soon-forgotten time (of troubles). Nor do Putin and his associates have a death wish to become all-out “dark riders” in a neo-Stalinist mold. Though there is now substantial support for disparate extremist movements (neo-Eurasianism, Strasserism, White Nationalism, etc), they remain confined to the political fringe as in the rest of Europe – though we shouldn’t forget that all it takes for this to change is a weakened state, social disillusionment, and a well-organized, ambitious Party with a skilful demagogue. That said, it is not impossible to imagine a scenario in which a Muscovite “natural state” collapses under its own failings by the 2020’s, unleashing a destructive wave of “liberalization” that returns Russia to poshlost, ushers in renewed social disillusionment, and engenders a violent reaction against liberal ideals that culminates in a totalitarian despotism, and one probably far more ‘racialist’ than its predecessors – not to mention armed with thousands of nukes. Which of these paths Russia will go down is still impossible to predict with full certainty, though there are certainly signs, Aesopian language, etc, that the Kremlinologist should observe for hints of Russia’s future trajectory. In particular, the outcome of the brewing GRU / civiliki vs. FSB clan war will be a major portent of things to come. No more mindless idolization of the West (преклонение перед Западом). Instead, develop civilizational confidence by rejecting “Europe” and recognizing Russia’s status as a unique Eurasian civilization, not inferior (or superior) to any other. This does not imply an irrational rejection of useful Western technological and even cultural imports, as urged by some extreme Slavophiles. That said, this does not mean Russia should worship everything Western, because many Western imports clash too much with indigenous Russian traditions to be of any real benefit. Furthermore, the speed, zeal, and “totality” with which Western imports were forced on Russia by its rulers tended to exceed anything seen in the West itself due to Russia’s habit of attempting to “leapfrog” the gap separating it from the West, as happened during the Bolshevik Revolution (from feudalism / early capitalism to socialism) or the 1990’s (from socialism to market fundamentalism) – i.e., to whatever utopian end-of-history the West appeared to be moving towards at the time. Needless to say, the short-term effects were tragic and the long-term effects were enervating, resulting in long periods of retreat and stagnation. It’s time to break this cycle. More state control over natural resources extraction, mainly to limit activity so as to leave more reserves in the ground in a world of limits to growth. Free trade is only good as long as it really is free, which it isn’t. Russia should be bolder about incubating promising infant industries, encouraging domestic savings, and pursuing strategic trade. In particular, Russia must give the formation of a proper domestic financial system top priority in order to gain independence from Western credit flows – their sudden disruption in 2008 was the major cause of Russia’s economic crisis. Russia has no need for billionaire oligarchs, especially since they are almost all de facto employed by the state; a few millions should be enough of an incentive. Don’t be afraid to reintroduce the death penalty for corruption and sabotage – it works in China, it worked in the Soviet Union, and there is no reason it shouldn’t work in Russia again. The Council of Europe can fume all it wants. That said, there’s no need to be impolite and in-your-face about all this. Again, follow China’s rhetoric on “peaceful rise” (even as it builds up the world’s largest industrial economy, acquires neo-colonial spheres of influence, steals the most advanced Western technologies, and pursues military modernization). Most importantly, remember that socio-economic modernization is most successful when generated indigenously, not forced upon from outside via Westernization, which is undesirable because of the internal social conflicts in provokes in non-Western societies. Don’t become blindfolded by Western ideological imports like Marxism or neoliberalism. Instead, work patiently and eruditely to explain to the domestic “liberast” intelligentsia – many of whom are actually patriotic, if misguided – why their prostration before the West is unproductive to Russia’s interests (or just ignore them). Breaking up their small rallies with the OMON just reveals insecurity and is counterproductive. Without the support of Europeanized peoples, the Romano-Germans will not be able to continue the spiritual enslavement of the whole world. Quite simply, upon realizing its mistake, the intelligentsia of Europeanized nations will not only stop helping the Romano-Germans, but it will try to thwart them, at the same time opening the eyes of other peoples to the true nature of the “benefits of civilization”. Russia has developed a much more assertive and confrontational approach to foreign policy over the past couple of years, particularly in its Near Abroad. From Russia’s perspective, what do you think are the benefits and drawbacks of this approach? As I pointed out above, Russia is returning to the Empire. The state is expanding its power on multiple dimensions – political, economic, geopolitical. It is almost inevitable that it will eventually expand territorially as well (as foreshadowed by 500 years of history); to an extent this is already happening, as South Ossetia and Abkhazia have become virtual Russian protectorates after it repelled Georgia’s invasion in August 2008. This is an accelerating process and I agree with Stratfor that in one form or another (ranging from closer integration into already-existing institutions like EurAsEC and the CSTO, to a full-fledged neo-Soviet Union), a new empire will appear on the map of northern Eurasia by 2020 at the latest. From Russia’s perspective, the effects will be almost entirely positive (at least until it reaches the point of ”imperial overstretch”, when the benefits are canceled out by Western containment and perhaps Polish– and Turkish-instigated separatism; but this is still far off). Rebuilding the Empire will 1) further legitimize the state, 2) increase sobornost, 3) expand the military-industrial power at Moscow’s disposal, and 4) provide a much larger “scope” for autonomous economic development. All these factors reinforce the Empire’s power and “sovereignty”. Nor is this going to be a particularly difficult undertaking. Kazakhstan, Belarus, and Armenia are already firmly within Russia’s orbit. Tajikistan and Kyrgyzstan are dependent on Russia for their security, and Uzbekistan realigned itself with Russia in 2006. The prize jewel is Ukraine – as Brzezinski pointed out, Russia has never been a proper Empire without it. However, Ukraine is now a weak, “failing state”, close to fiscal insolvency; the Orange movement is fully discredited (President Yushenko’s approval ratings hover in the low single digits and overall support for democracy fell from 72% in 1989 to just 30% in 2009); both the next two prospective Presidents, Timoshenko and Yanukovych, are campaigning on pro-Russian platforms; and there is more popular support for Eurasian integration than for entry into NATO or even the EU. Facing a resurgent Russia and an America increasingly absorbed with other problems, there is a moderate-to-high likelihood that Ukraine will either return to Russia’s orbit or split down the Dnieper River within the next five years. The deterioration of Russia’s relations with the West, especially the US and its allies, went in tandem with Putin’s consolidation of the Kremlin’s power and Russia’s post-2006 “return to the Empire”. Considering the number of humiliations and broken promises Russia previously received from the West – NATO expansion, the bombing of Serbia, color revolutions, the media war, missile defense, etc – it is not at all surprising that Russia began to push back once it regained a position of strength by the mid-2000’s. Now that it has begun, I doubt it will stop. The late Soviet and Yeltsin-era naïveté about kind Western intentions towards Russia is gone, thanks largely to the West’s own exploitation of Russian weakness. Now Russia has reverted to thinking in 19th century terms, and back then its Army and Navy were its only friends. You describe yourself as “not just an inostranets (foreigner), but a bezstranets, a dude without a country, a rootless cosmopolitan.” There’s been a bit of a trend recently of people with Russian roots (for want of a better term) returning to Russia, often to do business. Do you think Russia benefits from this influx of bezstrani? Yes. Technological transfer, new management skills, etc. But its overall economic impact is minimal. Unfortunately, of the middle-aged researchers who left Russia in the 1990’s, only a few are going to go back even in a best case scenario. I applaud Medvedev’s recent initiatives to lure back Russian emigrants, but it is too little, too late. Furthermore, I should also note that far from all emigrants have a favorable impression of Russia, even despite the spiritual revival mentioned above. Many are stuck with the clichés of the 1990’s with which they left Russia; on top, there are the clichés of the famously “objective” Western media. Gangster capitalism plus FSB authoritarianism drenched in vodka. This is not to imply that this caricature doesn’t contain a kernel of truth, but as Sean Guillory points out, going back to Russia for a while will give a much needed wider perspective. That said, many diaspora Russians are psychologically averse to equanimity on Russia; in many cases, they are huge fans of whatever country they immigrated to, and of the West in general, as if to justify their own immigration to themselves. Consequently, some even view any “defense” of Russia, no matter how justified, as a personal attack on themselves and respond ferociously. For obvious reasons, I do not see many of these people going back. The only way to get a big stream of high-quality talent to come is to modernize and implement a good immigration system with minimal bureaucratic hassle (Canada is a good model, I think). Russia is currently lagging behind on all three factors. Perhaps that will change by the 2020’s, but by then it will have to be tailored to second-generation immigrants who will have minimal social investments in Russia (friends, relatives, lives, etc). I suspect it is a leap very few will be willing to take, no matter how many incentives the state gives. I see you’re writing a book. I know you don’t want to give away too much at this stage, but could you give us a brief preview? For more info see Sublime Oblivion – The Book. I hope to have it finished by spring 2010 and published soon thereafter. It is essentially a work on future history – a vision of the effects today’s global trends are going to have on different regions and the world system in the decades to come. One of the wellsprings of my analysis is that we live in a time of change far more rapid than anything seen in history, and that anything at all is possible. Let me demonstrate. Today, there are two particularly influential “schools” on the future. Both germinated in the 1970’s and are regarded as diametrically opposite each other. On the one hand, you have the technological singularitarians, who point out that computing power per dollar has been doubling every two years since the 1960’s and will “inevitably” continue to do so. This miniaturization will eventually allow us to scan the brain with enough precision to record all its details and replicate it electronically. Or perhaps a consciousness will emerge out of Web. The resulting “strong AI”, easily able to quickly replicate and recursively improve itself, will make biological humanity obsolete. Ray Kurzweil, one of the high priests of this school, places the Singularity at 2045. On the other hand, the “Limits to Growth” schools asserts that our world is finite, and posits that industrial civilization will soon run up against limits to growth in the form of resource depletion and pollution overload. We will need to make ever greater efforts to achieve the same “benefits” in resource extraction and agricultural production, as the system comes under the strain of flattening agricultural yields, topsoil loss, peak oil, higher-EROEI energy sources, runaway climate change, global dimming, political and geopolitical flux, etc. Barring a rapid transition back towards sustainability or the discovery of a technological silver bullet, humanity will massively overshoot the carrying capacity of the Earth, destroy the physical basis of its own existence, and usher in an unprecedented Malthusian dieoff in famine, plagues, and wars. The “standard”, business-as-usual Limits to Growth model places the date of collapse at around 2030-50 (furthermore, the current statistical evidence indicates that the world system closely tracked the original 1972 predictions to today). So which trend will win out? Will we “transcend” just as industrial civilization begins to finally collapse? Or will the world’s last research lab be burned down by starving rioters just as the world’s first, and last, strong AI pops into super-consciousness inside? I think this is the big question of this century and it forms the defining theme of the book. That is not all, of course. Other trends I will highlight encompass geopolitics, economics, demography, politics, culture, and wars, as well as the intersections between them and their impact on the world’s disparate regions, nations, and cultures. Russia-watchers will not be disappointed; as a potential superpower that stands to benefit from resource depletion and global warming (relatively speaking), Russia will play a major role. This is a cyberpunk future – a world system wracked by neo-colonial resource wars and under severe ecological strain, tipping over into outright failure throughout the Third World; yet also a world ever more tightly intertwined into an information ether, where fantasy displaces reality. By the 2030’s, as mounting stresses approach critical levels, some of the Great Power-”fortresses” decide to cooperate in a last-ditch effort to save the System from collapse – they start on the construction of a massive, space-based power generation and geoengineering project. Simultaneously, there emerges a global super-conscience, a strong AI– “the last invention that man need ever make”, from within the cathedrals of cyberspace. Salvation beckons. Yet who can presume to know the mind of God?